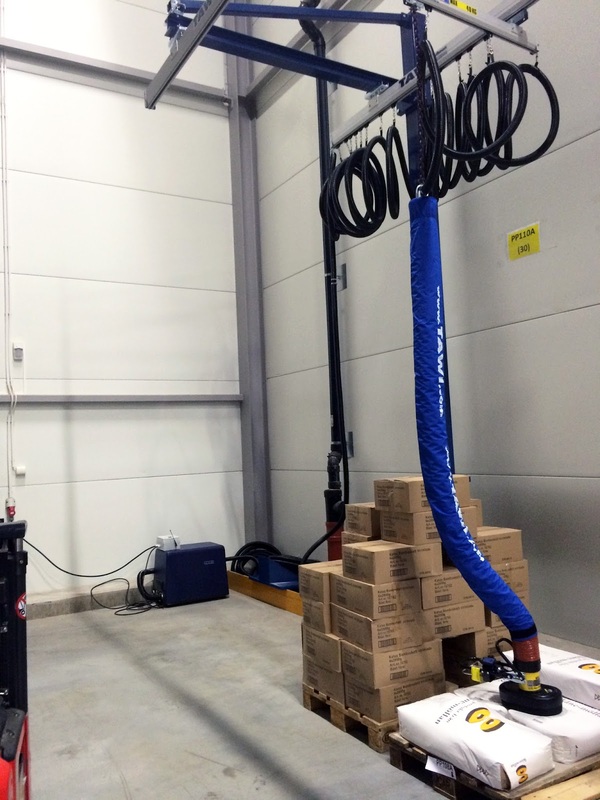 Electrical vacuum operated TAWIGrip with a yoke tool mounted directly on a Lyftman steel crane system on both ends. This fixed telescopic tool is radio controlled and equipped with a working light fixture for improved lightning. With a radio control the operator can maneuver every movement; moving the yoke back and forth along the crane system, up/down function, activate vacuum, control the vacuum level, lift and tilt the sheets as well as release the load. The operator uses this application to lift and tilt whiteboard sheets in 90° position. The fixed structure provides a more stable maneuver when lifting and tilting the sheets throughout the lifting cycle. This ViperHoist120 with special fork tool is used for lifting large aluminium profiles and handles weights up to 120 kg. The profiles are about 7 m long and lifted by using two hoists, one on each end. 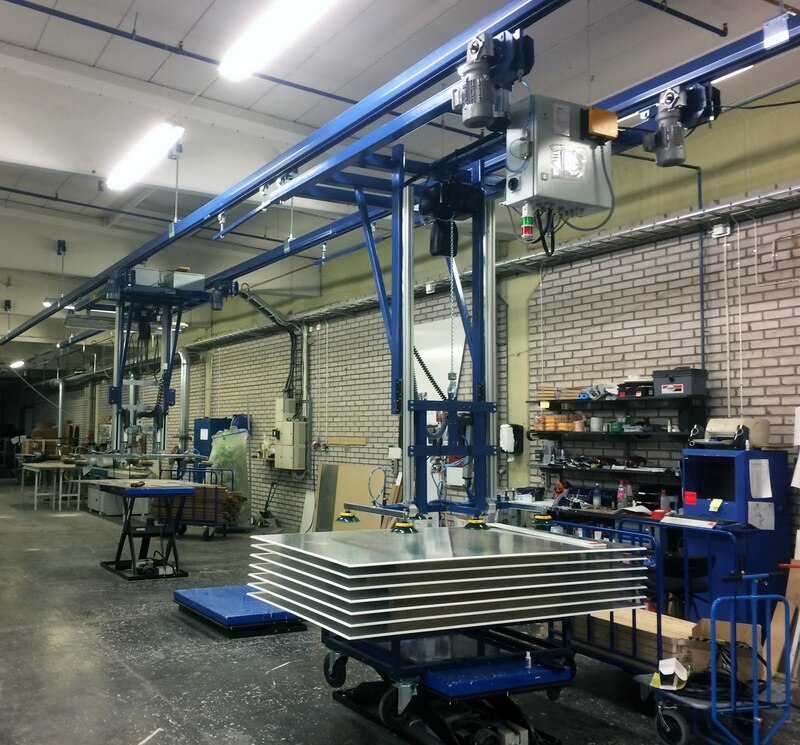 The hoist is mounted on a special Lyftman crane system with wall brackets, steel gantry tracks and aluminium bridge tracks. This ViperHoist is equipped with quick coupling which makes it possible for the operator to easily change tools on the hoist. A prefect solution if you need to lift various goods with the same hoist. ViperHoist is very fast and it has variable speed control which makes it ideal for applications that require high speed at some points and slow, precise movements at other points. 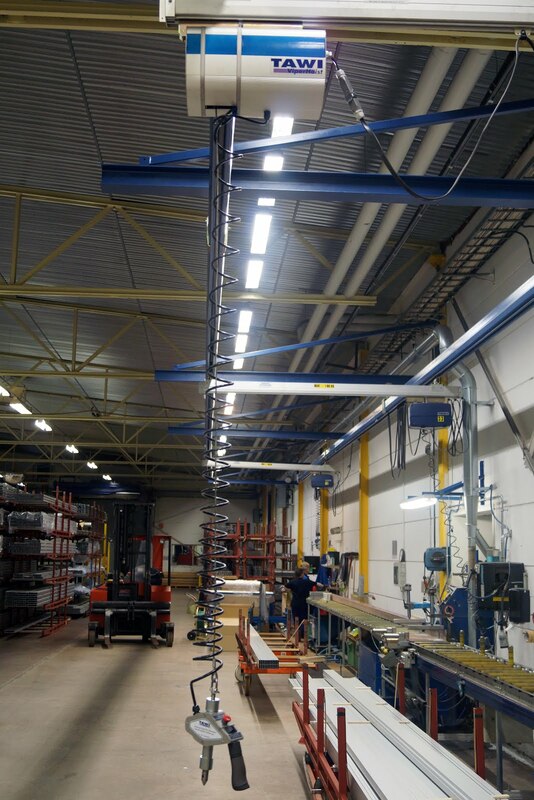 For more information about our wire hoist, click here. 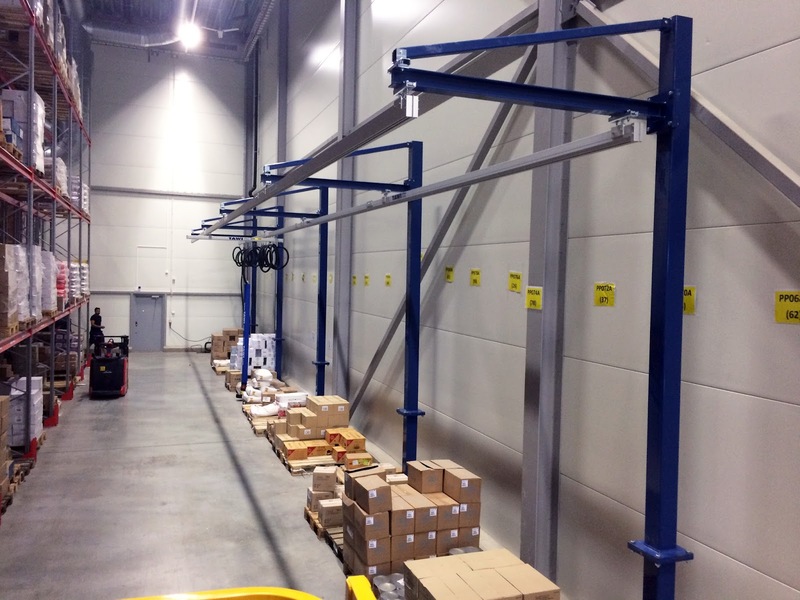 The customer needed to increase the height of an existing floor mounted Lyftman track system. An easy solution to achieve that was by adding a column extension. 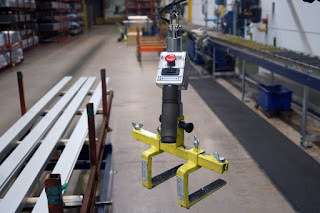 A VacuEasylift VM120 vacuum lift is installed in the system and it runs smoothly along the entire length of the track. By equipping the VacuEasylift with a fast coupling the operator can easily change the suction foot and thus lift various goods with the same vacuum lifter. Here the VacuEasylift is used by the customer to lift boxes and sacks. Click here to read more about our different ergonomic lifting solutions with VacuEasylift. 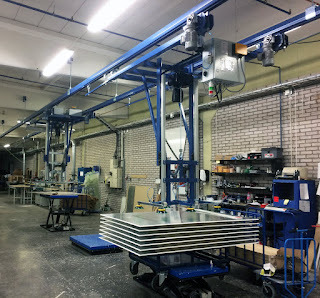 More information about Lyftman crane systems and jib cranes are available here.